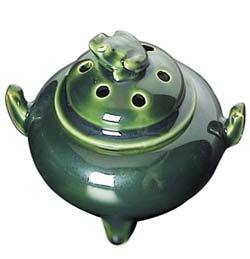 A cute frog sits silently on the lid of this adorable incense burner made in Japan. Use it for stick or cone incense. Frog-shaped burner. 3.5" wide x 3.5" tall.